In Clubman motorsport there are many hard-working and unsung heroes who rarely receive the recognition they deserve. 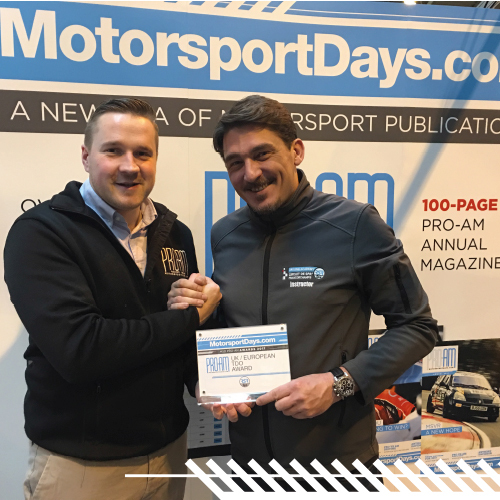 Motorsport Days has changed that with the creation of the Motorsport Days Awards, recognising the industry’s outstanding organisations and individuals that have made the most important contributions to motorsport during the last 12 months. FOR THE THIRD YEAR RUNNING, we have asked championship organisers and our e-newsletter readers – more than 8,000 subscribers in total – to vote for the people whom they believe are deserving of each of the nine MSD PRO-AM Awards. Our Awards Taskforce – comprising racers and other influential figures from the motorsport industry – considered the three nominees with the highest number of votes in each category, before ultimately deciding the outright winners. We hope you will join us in praising these tremendous achievements. The nominees were considered on results, performance, budgets and overall dedication for the UK Amateur Driver of the Year title. The winner, who has competed in the Classic Sports Car Club (CSCC) in 2016, had a record number of votes Seen in the paddock as an “all-round good guy” and an “outright race winner on more than one occasion”. Voters were also keen to point out how helpful Tom had been at a Donington meeting when a driver had a heart attack during a race. Although the driver was not a personal friend of Tom’s, he took care of the driver’s racecar and trailer that evening, enabling the unwell driver’s family to be at the hospital without any additional concerns. 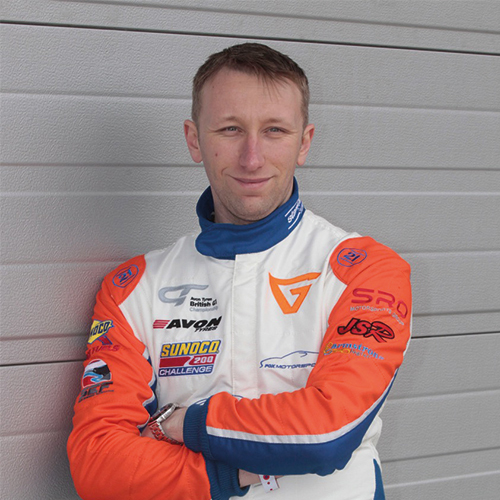 Other drivers highlighted in this category were Aaron Head in the Caterham R300 and the Track Day Championship’s Jack Wright. Congratulations to Tom Mensley on winning this award. A new award for this year, which focused on successful drivers in the PRO arena. We saw drivers nominated from the BTCC, including the likes of Gordon Sheddon and Matt Jackson, but there was clear winner, who was labelled as having “world-class pace and adaptability” and being “untouchable”. 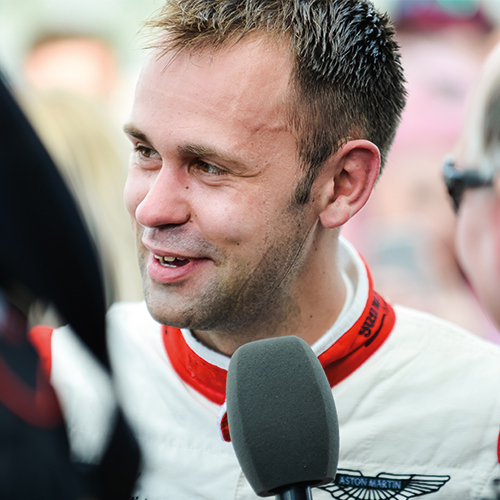 Our winner has been a multiple champion across all levels – he even participated in a Daytona prototype in 2016 – and has now been crowned British GT Champion. So, congratulations to Jonny Adam. There are many suppliers to championships and drivers, providing everything from car parts to race gear. Grand Prix Raceware was only just beaten this year by a company who is already a multiple award winner in 2016. 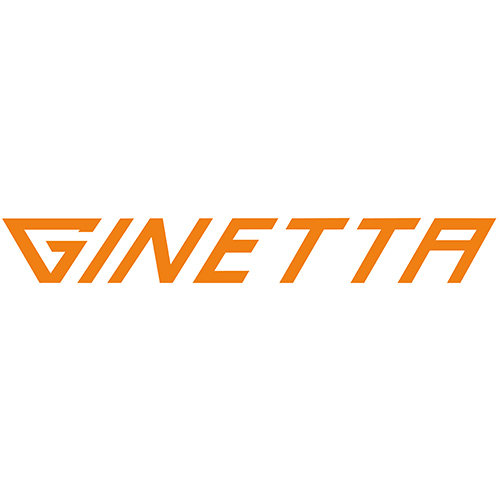 With its strong brand successfully bringing new drivers into the sport, the company’s main man Lawrence Tomlinson has helped design, build and grow Ginetta into a key name in the industry. Voters comments included “always responsive and friendly for all driver needs” and “a dream to race which I never thought would be possible”. Congratulations to the Ginetta team and we looking forward to following its successes in 2017. Modern track days are seriously competitive and having that bit extra is difficult to achieve. Last year’s winner Gold Track came close to winning again, just being pipped by RSR Spa. Run and led by Ron Simons, who offers track walks to all participants, RSR exceeds expectations and certainly sets the standard. 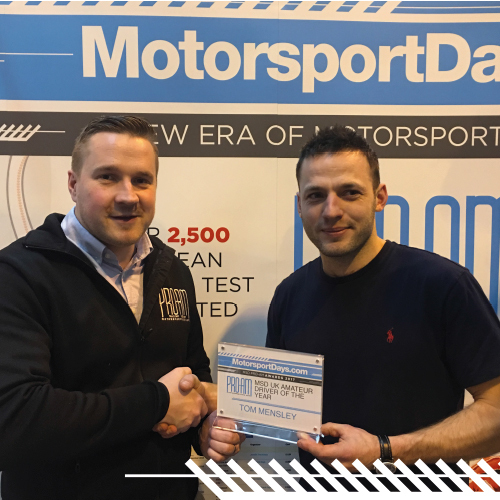 “Friendly and well run organiser” and “in another league in the track day world”, shows RSR is “best by far, in terms of professional values and safety”. So clearly a worthy winner, so make sure you get yourself on track with RSR soon. Again, another competitive award, with MSVT having won this for the past two years. 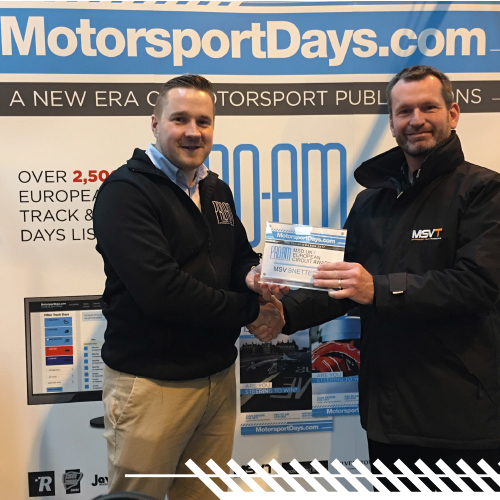 However, this year we have a new winner – a circuit that has seen multiple changes over the last decade and sets the standard across Europe as not only the best circuit, but also providing professional test days to all racers. Voters comments included “always well organised and and good track time” and “just one of the best circuits and professional as always”. It’s no doubt Silverstone deserves this award, so congratulations to all the team. With more than 100 championships in the UK, it can be tough to decide which one best suits your needs. 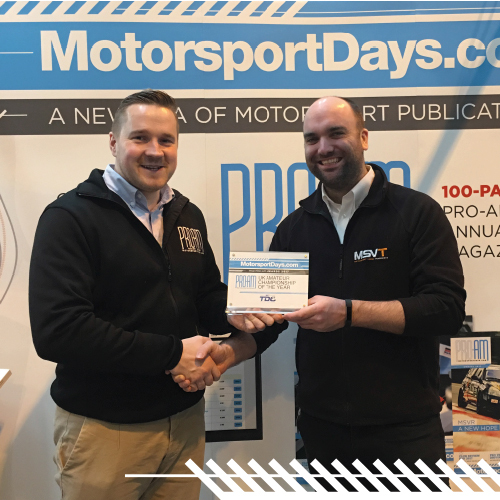 This award recognises the championship that has helped encourage both new and existing racers to compete on a regular basis, while ensuring a fair and enjoyable racing season. This category was well challenged by the CSCC, as well as its feeder championship, the Track Day Trophy. But the Track Day Championship (run by MSV) has achieved great results this year with getting people on track cost effectively. With fantastic end-of-year prizes and a well organised Championship thanks to its dedicated staff, it’s no wonder the positive feedback included “friendly paddock and well run by Stuart and his team”. Congratulations to everyone involved in the Track Day Championship. A new award this year highlighting one of the most important aspects to track days or racing. We feel this is a crucial element of any track day and list all the instructors on our website (www.motorsportdays.com) to make it easier for drivers to make improvements on the track. This year’s runners-up include the likes of Ben Clucas, David Brise and Mike Newman. Of course, there can only be one winner and that went to the instructor who has shown how to improve safely on track while communicating perfectly to all clients and gone above and beyond, resulting in comments such as “a great attitude to coaching” and “giving me confidence in the car and my own skills”. We strongly recommend time with winner, Jamie Stanley, as part of your 2017 campaign. For MSD, this is a very satisfying award which recognises those who often go unnoticed in the world of motorsport. We open this up to all areas and this year’s co-ordinator for the Track Day Championship (TDC) and Track Day Trophy won the hearts of most. Stuart Garland is a worthy winner who has apparently “worked his proverbial **** off and never stops being helpful and putting others before him”. A true statement which we saw for ourselves this year when he left half-way through a holiday to help the TDC winners. 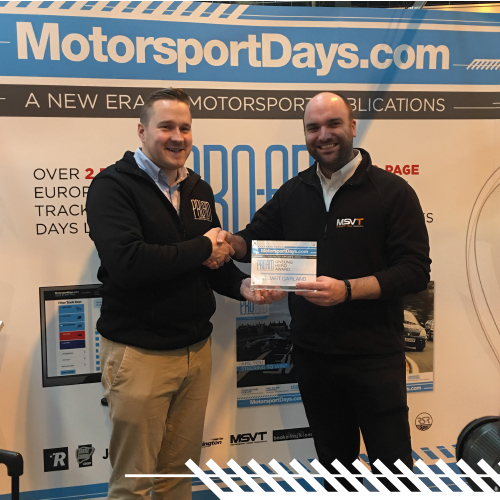 Comments such as “always goes beyond the call of duty to help competitors, from answering questions though his personal Facebook, to always having a well organised race weekend.” Stuart always does a fantastic job in running the TDC smoothly so congratulations and enjoy your praise.